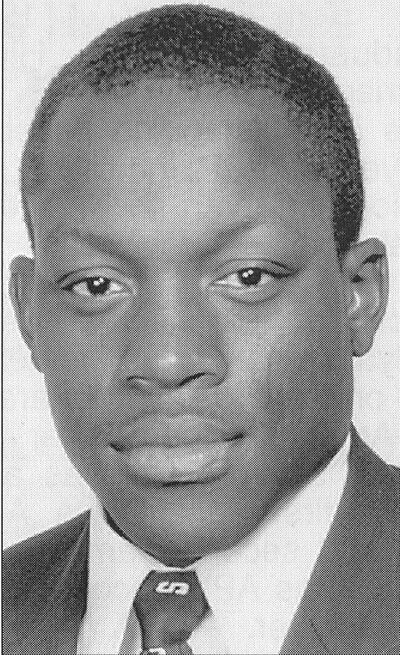 James Larnell Bradley III was an outstanding three-sport athlete at Orrville High School, then a stellar football receiver at the junior and major college levels. He also had a brief NFL career which was hampered, and then ended, by injuries. Bradley earned a total of 10 letters at Orrville before graduating in 1987. He competed at the State level in both football and track. After graduating from OHS, Bradley toured Europe with the U. S. International Track and Field team. He competed individually in the 100 and long jump and was also a member of the 400 relay quartet. Bradley’s football career continued at Ellsworth (IA.) Junior College, where he earned First-team JUCO All-American honors, after helping his team to the National title as a wide receiver and return man. His JUCO exploits resulted in accepting an offer from Michigan State, where he started both season and was an All-Big Ten performer as a wide out. He graduated from MSU with a B.A. in Psychology. Bradley was chosen in the seventh round of the NFL draft by the Indianapolis Colts. Waived on the final cut, Bradley hooked on with the New York Jets but suffered major injury and never contributed. After joining New England’s roster for the 1992 playoffs, Bradley moved on to Kansas City where injuries ended his career in the 1993 preseason.